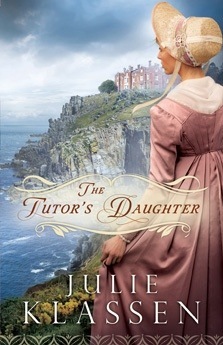 On this, my last day of vacation, I finished reading Julie Klassen’s novel, The Tudor’s Daughter, and, I have to say, I enjoyed it immensely. The novel contains several elements of a couple of my favorite stories — the gothic romantic suspense of Jane Erye by Charlotte Bronte and the misguided infatuation toward a younger brother found in the movie, Sabrina (starring Harrison Ford). The novel also had elements from a movie that starred Tom Cruise, though I will not say which one, because then you’d definitely know the secret the family at Ebbington Manor is trying to hide. Definitely. When I read novels such as this I wonder why I even bother to write, because I’m not in the same league. Did you catch the clue I left in one of the preceding paragraphs?